Pretty cool info. 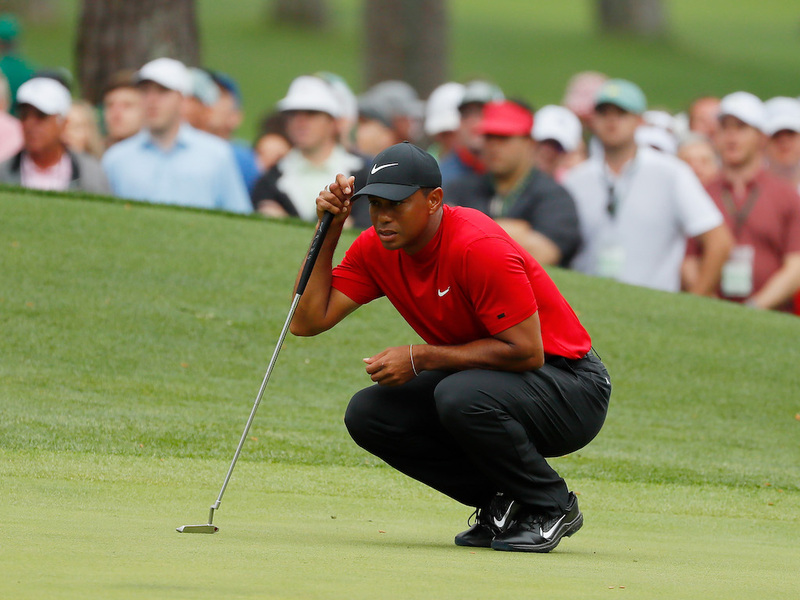 Perhaps they hit it farther than you might have thought…or maybe they hit less than you may have been lead to believe based on what you’ve seen on TV, read on the internet, etc. Well, since we also know that the average driver swing speed on Tour typically runs around 112 to 113 mph, using a bit of algebra and the above distances we can approximate a guide for how far you could expect to hit the ball (assuming fairly consistent and solid contact) given your personal driver swing speed. Here are those carry distances. I took the ranges down to 60 and 70 mph because those are swing speeds I’ll encounter when working with some amateur women and seniors. I also went up to 140 mph because numerous long drivers I’ve trained can get their drivers up that high (RE/MAX World Long Drive champions like Joe Miller, Jamie Sadlowski and Ryan Winther can actually reach over 150 mph). First, these numbers are based off how the average Tour player strikes the ball. 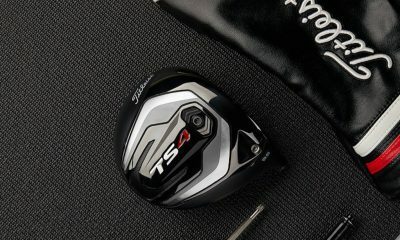 Although Tour players are overall good ball strikers with all their clubs, most of them are actually not as efficient (the Tour average is about 2.58 yards/mph of swing speed) as they can be when it comes to distance with their drivers because on average they hit drives that launch too low and with too much spin. LGPA Tour players (2.65 yards/mph of swing speed) and Professional Long Drivers are actually more distance efficient with their drivers…but that’s a topic for another article. The good news for you is that greater carry and total-driving distances can be achieved at all the range of swing speeds shown above if you are a more efficient driver than the average male tour player at 2.58 yards/mph of swing speed. With a 2-degree change in driver loft and some minor adjustments made to his swing path, angle of attack, etc, one of my amateur students went from being an already above-average efficient driver at 2.61 yards/mph to an extremely efficient one at 2.75 yards/mph. So with no change to his 102 mph swing speed, he increased his driving distance average from 266 to 280. Then after some swing speed training, he got up to 112 mph and can now hit drives around 307 yards with that same efficiency of 2.75 yards/mph. That’s 41 more yards! Second, the club distances are based on the driver swing speeds that you would get from a system like FlightScope and Trackman. So if at all possible, get yourself checked on one of those. Otherwise, if you measure with something like a Speed Stik (which measure higher in my experience), you could get a false sense of how far you might expect to hit the ball. As another example, Sports Sensors Swing Speed Radars (SSR) also read faster. It should be pointed out that SSRs are still a great personal training aid, and because of their accuracy and relative affordability and portability, they are actually the radar I recommend in my swing speed training programs. However, the Doppler radar in an SSR measures the fastest moving part of the club head (typically the toe) versus a Trackman or FlightScope, which each have proprietary algorithms to calculate the speed at the center of the club face. For this reason, SSRs will read about 5 to 12 percent faster, depending on how you as an individual move the driver through impact. If you have an SSR, just hit 5 to 10 balls with it and a Trackman or FlightScope at the same time and you’ll find out your personal difference for sake of comparison. Third, the above numbers can be useful for a good general reference, but like I mentioned in my article about understand distance variance, recognize that carry distances can vary a lot depending on conditions. Slopes, wind, temperature, altitude, etc., are all things that can affect how far the ball flies, so remember to factor that in. Fourth, keep in mind potential loft differences between your clubs and the ones here. As a general rule of thumb, club manufacturers have made their club lofts (especially in the irons) continually stronger over the years as a way of marketing and selling consumers the new clubs. 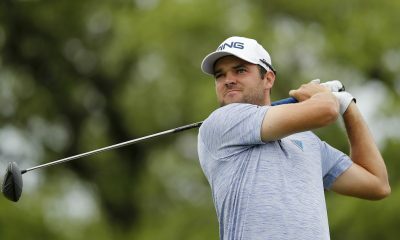 Many top Tour players are being paid to play the latest clubs, which could mean they might also be playing irons with stronger lofts than the set you are playing. This isn’t always the case, however, but it’s another thing to be aware of. Last, once you start approaching less than 80 mph with the driver, notice how the distances start bunching up between clubs. At this point, you start getting to an area where you really don’t need a full set of 14 clubs. If this is you, perhaps you might also find that you hit a 3-wood or 5-wood further than a normal driver. My wife is very strong and athletic, however, as a beginner who doesn’t play or practice very much, she hasn’t developed much swing speed. For that reason, we got her fitted for a 9-club set of Wishon 730CLs, a set that is designed specifically for men and women with less than 80 mph of club head speed. The shafts are very light, the driver is 16 degrees and only 42 inches, the fairway woods are 20 and 26 degrees (versus the commonly used 15- and 19-degree fairway woods), and the remaining hybrids/irons are gapped out in 6-degree loft increments (compared to the normal 3- or 4-degree). Also, since many beginners, lesser skilled players and those with slower swing speeds can struggle with really high lofted wedges, the highest lofted wedge in the set is 54 degrees. All of these things combine to provide a driver that can actually be hit in the air for distance, clubs that have substantial distance gapping, plus it’s just less clubs in general to lug around and choose from. 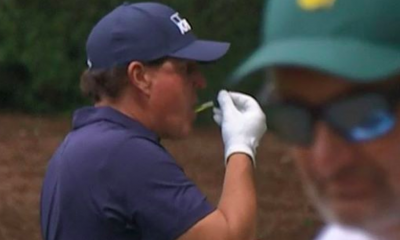 What does it take for the best to “go low”? Jacob Bowden’s company swingmangolf is a scam. I tried to sign up for a basic membership just so I could read over the material. I guess I was a member from 11 years ago (didnt remember it) so when I signed up again, instead of the 49.95 payment spread over 3 months like I signed up for… They signed me up for some premium membership and have been taking 49.95 per month out of my account. I finally got them to stop but im out $300.00 and cant afford it as my wife and I are disabled and living on her disability. Your chart numbers are pretty accurate for me… I’m a 51 yr old with a single digit handicap and an avg (semi-aggressive) swing speed of 105mph. I bounce between your 100-110 number up and down the scale depending on a pure hit vs a toe hit and if I’m looking for a smooth hit at 80% or going after it at 90%. Anything overly aggressive (beyond 90%) would result in a miss hit half the time so I try to avoid that. I just saw a video of you on you tube using both the swing speed radar and ,i think, a flight scope and the flight scope swing speeds were higher yet in the above blog you stated that the swing speed radar was most likely to read higher. I just reread this article. The chart confirms something I noticed years ago, and that is my distances do not conform to the norm. On longer clubs, such as driver, fairways and hybrids I am less efficient. With an average driver swing speed of 95 my longer club averages are closer to a 90 SS or a little lower. My iron distances are closer to the 100 SS averages. I would think a lot of people are similar unless they are a plus handicap. Chart is not perfect and everything is subject to centeredness of contact. Then make a perfect chart. Interesting article but these numbers are way off. Understanding that the same swing speed can produce a variety of distances based on strike, AOA, etc these numbers still same significantly lower than the expected results. A 90 mph 7 iron is easily getting 170 carry on a quality strike. This chart has it at 138!!! That just does not add up. I think TM or GC2 have charts that provide more accurate information. Re-read the header of the table, “Approximate Carry Distances by Driver Swing Speed”. You will likely have about a 110 mph driver SS to have a 90 mph 7iron SS. The 110 mph column shows a 169 yard carry for a 7 iron. 90mph swing carrying 170yds, are you on crack???? Hi Jaacob. I spent some time with your exercises. And it helped. I went from 97mph to 107. Then i read Kelvin miyahiras work and swing at 115-120. I found your exercies made me more explosive. I also deloft more now so ball speed is up. Swinging my 7 iron about 97MPH and hitting it 190-210 depending on shot shape. Golf is a different game knowing any hole under 340 is reachable with a good bounce or two. Jaacob – Great article! Lots of information in both the article itself and the detailed responses to questions and comments. A lot to digest here. I’m a 75 year old 4-handicap with a measured driver clubhead speed of 92-94 mph – and your distance chart scales pretty well throughout the bag. 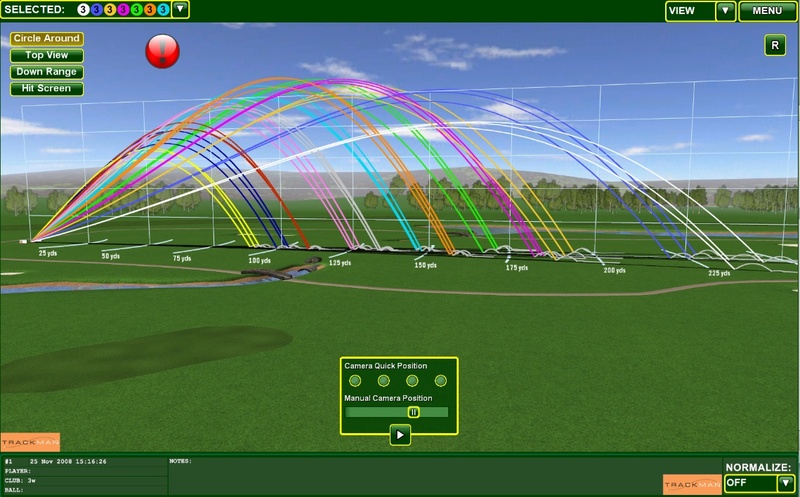 Specific distances will vary with lofts, attack angles, conditions, type of shot (draw, cut, knock-down, etc.) and all the rest – but at first blush, when you go to pick a club for a particular shot, that’s a good place to start. (And most of the time, we would be pretty happy with a ±5-10 yard variation in distance to a tight pin!) Nice work. As soon as the SLDR came out i bought it and i was driving it 280-85 total. Is it suppose to change so much distance ? My swing speed is 95-98 mph and I drive the ball 225-250 yards. I hit my 7 iron 145 ish. My father has a swing speed of 70 mph but he hits a club further than me. Is this just all in my timing or is he an exeprion? Ha! My swing speed was just tested with my new ping G400’s and I hit 9 iron 150 and g25 driver avg 260-280 so what’s wrong with this picture? I’m 47, and can hit 7 iron about 155-160 consistently. My driver is a Ping 8.5 loft. My distance with it is not good at all, in fact it’s about on par with my 3wood distance. Do you think a shorter driver shaft and higher loft would help? The trajectory looks decent, not excessively low or high, but the distance isn’t there. Also, any ball recommendation? harder or softer for best distance? And yes I’m not a pro but have lots of experience. I’d recommend you check out a lower spin driver. Get your back spin down to 2200 rpm with the driver and see how that works for you. Don’t concern yourself with loft or shaft length. The Ping I series should have less spin than the G series but don’t be afraid to try other manufacturers. Personally, I tried a lot of drivers and shafts and lofts until I fooled around with some low spin drivers in a launch monitor. My driving distance has gone way up. A 10.5° loft low spin driver goes lower and further for me compared to a 9° higher spin driver which goes higher and shorter. 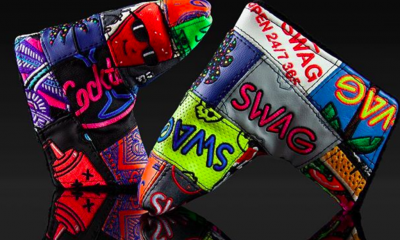 Get a driver with more loft. Woods uses a driver with 11.25 degrees of loft and he hits it a lot harder than you (or I) do. The newer balls (not wound) don’t spin as much and so need to be hit higher to start. 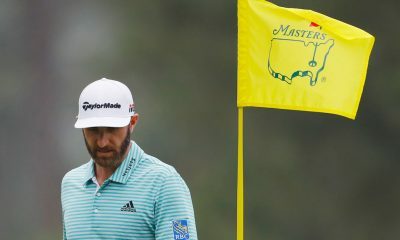 They start losing trajectory right from the tee – an arcing trajectory, not like the older balls that would go in a straight line or even rise until the apex of the shot. I also was using a driver with around 8 deg as i play links in Scotland and thought that was the ideal for low flying drives but after learning alot from trackman and local pro’s im now up at 11 deg and have learned to hit it low if required, i had huge spin numbers before this change, i suspect you have the same. The driver/wood/hybrid numbers appear to be about right, but I must be insanely efficient with my irons. At 78 mph, my Titleist AP2 6 iron carries 150 according to GC2 hitting indoors off a mat(actually 155 on the course). The remaining irons are approx. 10 yards apart. All are stock loft/length/lie. I also strike the ball very well which may be the difference. Hi. There is a really useful piece of technology that exists that can help you understand how your stock carry numbers change with different playing conditions. It definitely compliments launch monitor technology and its outputs. FlagHi app calculates the effects of the playing conditions on the carry number for each of your clubs. You guys (and ladies) have known forever that the ball goes farther when it’s hotter. Or that when playing at higher elevation it goes farther. Or when it’s dry, less far. But did you know the effect? To the number? With FlagHi you dial in all your carry numbers then before you play you just enter the weather forecast for your round and the elevation above sea-level of the course. Take the app with you in a recreational round and swipe to see all your clubs’ updated numbers. Or just write down the adjusted numbers if it’s a tournament and you can’t bring your phone. That’s what our touring pros do. The FlagHi PRO app does the club-centric calculations but it also does something even cooler. If you enter the distances of a shot, it tells you the distance that the shot “actually plays”. Meaning if I’m from San Diego playing in Denver and I’ve got a 189 yard shot – FlagHi can tell me that the shot “actually plays” 170. Meaning I hit my 7 iron, which is my San Diego 170 club. Because of Denver’s thinner air the ball will sail an additional 19 yards and land – you guessed it – FlagHi. Without FlagHi telling me this I would be totally guessing when I play in Denver. Hence why college teams and pros are dialing in their numbers with the app. It’s on the apple app store and android is coming shortly. We normally price it for $4.99 but we like to play with the #’s and even right now FlagHi is only $0.99. Our users tell us they love the app. There are no ads and it’s super easy to use. Used by touring pros, college teams, amateurs. Hope this helps – thanks. And we’re golfers first (and last) and just a couple of guys who came up with this app idea so pardon the “commercial” tone here but honestly and humbly we think you all might find value in knowing how conditions affect how you flight the ball. My driver SS dropped from 115 in my mid-to-late 30’s to 80 in at age 42. The weird thing is that I am in far better shape now than I was then. My core is stronger and I’m more flexible. I’ve gained a bit of it back, but my best swings are no more than 90-95 if I really go after it now. I’m still looking for the answer. I hit the ball straight and high and I have a good short game, so I still play well, but lack of distance sometimes gets me. I am a sweeper. That is strange why you would have lost 35 mph of club head speed makes no sense to me. I’m 44 and in about the worse shape of my life but still swing just as fast and hit the ball just as far as my early 30s. Did you quit playing for several years then recently pick the game back up? If not I might consult with a doctor. Being stronger or fit doesn’t mean you will be fast. For example, when I competed in the RE/MAX World Long Drive Championships and was doing more explosive swing speed training exercises, I maxed my SSR out at 155 mph, which is probably around 139-143 mph on a Trackman. However, when I started doing little to no swing speed training and more endurance running, which was required to finish 5th at the Speedgolf World Championships, my SSR speeds dropped down to 118 on the SSR (110’ish on a Trackman). Arguably I was more “fit”, but I wasn’t near as fast. So it’s conceivable that something like this could have happened to you. Have a look at the swing speed training programs at Swing Man Golf. With a bit of swing speed training, there’s no reason you couldn’t get your speed back up again. My question is this, much like other posters, I my distances were much lower when I first started out, and as a result I purchased all regular shafted clubs. Should I now be considering stuff shafts for my driver and fairway woods? I’ve never been fitted and don’t know exactly what that entails…is there any cost/obligation to purchase that comes with getting fitted? I’m in the military and play on a pretty tight budget right now but want to be hitting the right clubs…and advice is much appreciated! I think you are kidding yourself on with those yardages unless you have the worst short game around you would be in the low seventies with those distances. Sam – He didn’t say he hit them all straight. He said he hit them that far. Hitting a crooked shot far acually would get him in more trouble, not less. Also there is a difference between an average shot versus a perfect shot. Pointless to list perfect shot distances. That’s a recipe to missing the green every time. Unless as a mid handicapper he is a great ball striker. Hey Ronney you could just be loading the club to fast causing over hip rotation just like in the commercial. Just take up smooth then create power with your legs coming done and crush it. thanks. well written article, very helpful. my swing speed is just about a 100 and the numbers are perfectly accurate on your chart for me. i play on a course with practically no roll and a 250 drive for me is good. the one thing that puzzles me is that i hit my wedges really far. my 60 degree is my 100 yard club, my PW is about 135. these aren’t exaggerated. these are carries on the course. sometimes i think i just have so much more confidence with the wedges that it frees me up. i hit them really high too, which is weird given the distances. any thoughts as why that would be the case? who carries his driver 240 but hits hits his gap wedge 125? It’s difficult to tell without seeing you in person, but a scenario like this where short irons go longer…and longer irons, hybrids, and drivers go shorter…is possible if your clubs are de-lofted quite a bit or you perhaps have an excessively downward angle of attack. With the driver in particular, catching it on the upswing could in all likelihood net you some more carry and total distance more along the lines of what you might expect. The 140 swing speed number is driver only. He isn’t swing his PW 140.
question…if I use teh 80 mph swing speed as my driver guide..the numbers appear to be very close…but if I were to adjust my 10.5 driver to 10.0 or 11.0 or go to a 12.0 driver, same shaft, would I get less or more yardage? I have been playing with adjustments on my 10.5 and can’t quite figure which is the most beneficial, initial trajectory or roll, etc. If your swing speed is 80 MPH, you would most likely get more yardage with more loft. Hi jc, Joel is right. You would more likely get more distance with more loft. At 80 mph, for maximum carry I would target you for about an 18 degree launch angle and 2600’ish on your spin. For maximum total distance, I would say around 15 and 2000 would be the goal. What I would recommend would depend on the type of course(s) you play. 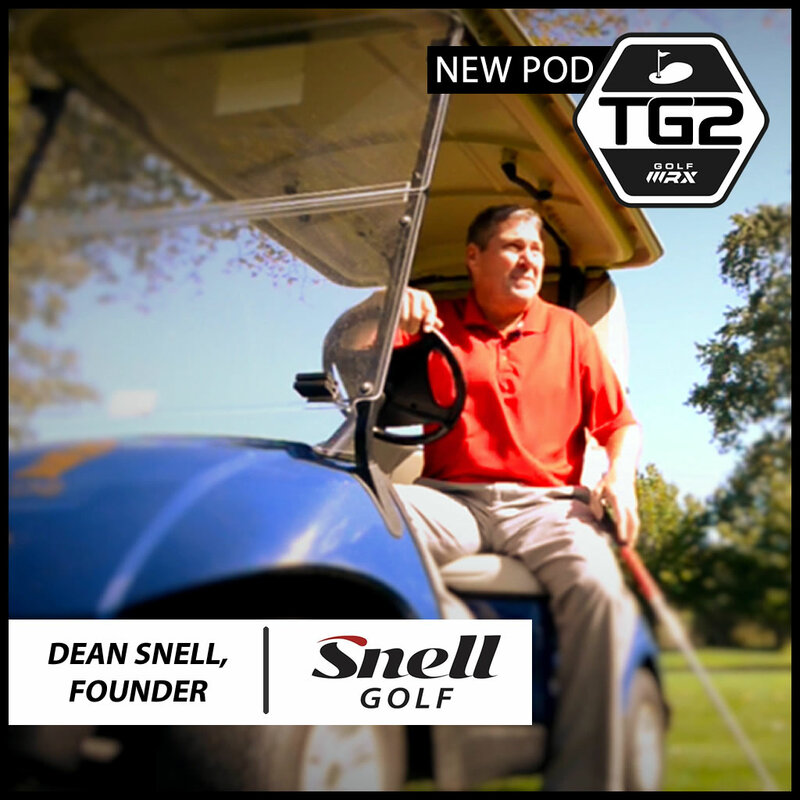 For tighter courses, soft fairways, when you have to carry trouble, or where there are doglegs you don’t want to run through…I would say to favor the carry side of things. For more open courses with harder fairways and the like, going for total distance might be better. How does the Foresight GC2 compare against Trackman and the SSR? I forget off the top of my head about the GC2, however, in my experience an SSR generally reads slightly faster than a Trackman. Both have Dopplar radar but the Trackman has an additional algorithm built in to it to calculate speed at the center of the face whereas an SSR will pick up the fastest moving part of the club head (usually the toe). It varies from person to person depending on how that person moves the club through impact. Last I checked, I was around 8% faster on an SSR. Most people I’ve measured are between 5-10% faster. Once you know your personal difference (from hitting with an SSR and a Trackman at the same time), you can get a really accurate idea of your Trackman speeds using an SSR. Making sure you have the SSR placed correctly also can make a difference. Great article Jaacob and thanks for sharing the stats against swing speed and carry distance. I have a swing speed close to 110mph and I can see some very close comparisons to my measured yardage with my MP59’s (which don’t have too strong a loft)and your figures. I believe the C-taper shafts give me a few extra yards due to lowering the ball spin. You mentioned today’s stronger lofts, but do you see much variance in the type of shafts used? I have seen some inconsistency in my carry yardage across my short irons. Sometimes when using short iron, I have gone up a club thinking I’ll swing it “softer” and it will go a bit shorter, but have over hit my target. I must be swinging at the same speed and still getting the same yardage. This also answers part of the question why I hit an occasional drive or 3 wood 20 or 30 yards longer than my standard yardage. I know I get a faster swing speed on my driver and 3 wood, but I always saw it as clean tempo or a centered impact, I wasn’t thinking about swing speed. Does the extra 20 yards carry due to the course conditions? More roll than a public course. Driving distances vary quite a bit depending on the course conditions. For example, the Tour average for the last 10 years generally has ran between 285-290. However, at the AT&T Pebble Beach National Pro-Am, the average driving distance was 268 yards. At the Wachovia Championship, it was 297 yards. So you normally hit driver 206 and when you hit it solidly you hit it 280? Or your irons are shorter but driver longer distance? Great article! Interesting that my short irons play to the pga distances but I start to fall off around the 6i, probably has to do with contact. It’s difficult to tell without seeing you in-person, but it’s possible you could have an excessive amount of shaft lean with your clubs. That scenario could make shorter irons go farther and longer irons, hybrids, and woods, fly less than expected. Great article! So more shaft lean in woods creates less distance? I have been tinkering with my swing and have created quite a bit more shaft lean then I had previously. I have noticed that all my irons have increased in distance by about ten to fifteen yards. but my driver & 3 wood have kind of stayed the same, or in a lot of cases I’ve actually lost distance. So should I go back to less shaft lean for driver & 3 wood? But keep it for the irons? I have noticed more consistency with my irons regarding target lines, but I am struggling more with the woods for that consistency now. Appreciate your feedback, and thanks again for the article, very informative. I need to figure out why my irons are consistently matched to the 105mph swing speed i.e. 4i = 190y & 9i = 140y, but my driver carries 220ish. With especially good contact, I have carried to 240, but it’s rare. I think I just have a lot more misses with my driver, maybe ??? Hmmm, what you mentioned about more misses could certainly be part of the shorter driver carry distances. Get some impact tape and/or foot powder for your driver face so you can make sure you’re hitting it consistently on a good spot on the face. Also, by chance do you know your average launch angle and spin rate with your driver? It’s possible you could be launching it too low and/or with too much spin to carry it that far. At 105 mph, my target for you would be about 13.4 degree launch and 2445 rpm spin. Would you mind sharing your math? I want to customize based on my avg iron distances. 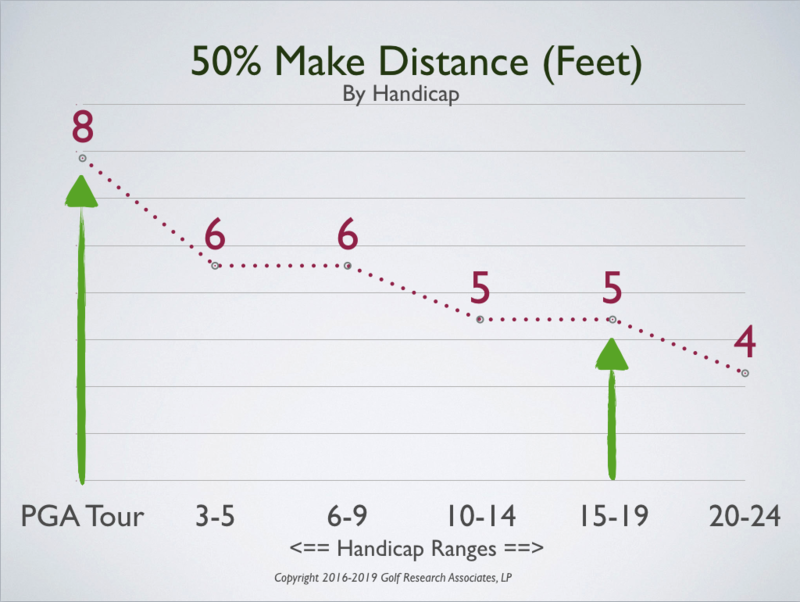 The chart is based off the PGA Tour average carry distances that were reported by Trackman (see the first chart in the top of the article), the average total driving distance from the PGATour.com website (about 289 yards), and the average PGA Tour swing speed (about 112 mph). Using all that data, I calculated the percent difference from the Tour average swing speed (about 112 mph) to whatever swing speed I wanted. For example, a 90 mph driver swing speed is 80.4% of a 112 mph (90 / 112 = 0.804) driver swing speed. Once I knew the percent difference, I went down for each club from the Tour distances and multiplied each one by 0.804 to get the 90 mph distances. For example, 80.4% of a 289-yard total drive at 112 mph is 232 yards (0.804 * 289 yards = 232 yards), 80.4% of a 269-yard carry at 112 mph is 216 yards (0.804 * 269 yards = 216 yards), etc. Then it was simply a matter of repeating all that for the different swing speeds. I made the original chart in Excel and just copied and pasted the formulas to each cell. Yep, using your logic, I could do the same math off of the average distance of my 7 iron vs. the PGA pro 7 iron distance. I’ll try this, thanks! For swing speed training, what do you suggest/recommend? Hi Jason, have a look at my Swing Man Golf website. If you have any further questions after that, just send me an email through the contact form and I’ll be glad to help however I can. Ryan Wither has been clocked at 167. which is the fastest ever. I know cuz I gave him lessons and watch alot of his swings. Hi Kyle, do you know what type of radar was being used? Speeds vary depending on the radar. For example, although they are accurate, Sports Sensors swing speed radars usually read 5-12% faster (depends on the person and how they move the club through impact) than a Trackman because they measure the fastest moving part of the club head…which is normally the toe. Conversely, a Trackman or Flightscope X2 have algorithms to calculate the speed at the center of the club face…and thus read slower than an SSR. If I remember correctly, the last time I heard from Ryan, the fastest he has posted on a Trackman was at the PGA Show…156 mph. The fastest that was recorded for him on Trackman at the 2012 World Championships was 149.4 mph. Cody, the speeds above are based on driver swing speeds…not iron swing speeds. Do you know what your driver swing speed is? 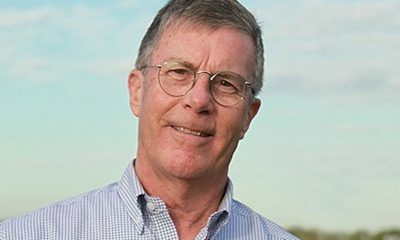 Great article and very imformative! 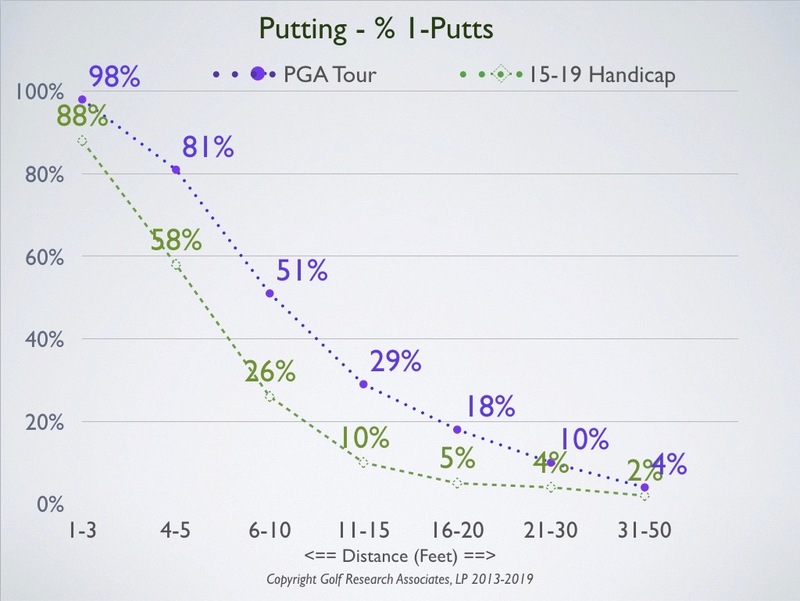 I’ve had those PGA and LPGA charts for a while and most recreational golfers (single handicap and above) should be looking at LPGA numbers for each given iron rather than PGA, even if they swing faster than the LPGA averages beacuse most amatures have low smash factors so even if they are able to swing close in swing speed to the PGA averages, the lower smash will result in lower ball speeds and carry distances of the LPGA. Basically my numbers are exactly one club more than the PGA pros, given my swing speed and smash factors are not as optimal as theirs. I think your chart (estimated potential swing speed and carry distance projected from the PGA average) is also a good indication of what our potentials are. That is, if you swing 100mph driver with 255 carry but the rest of your clubs fall more into the range projected down from the 90mph driver swing speed then you know you work on those clubs and tighten the yardage gaps…. Jaacob, thanks for posting this; I’ve been looking for a comparison chart with different speeds like the one you posted. My distances appear to match up quite closely with the 100 mph, just slightly less, with my 7 iron going 150, 8 140, 9 130, etc, but I think my irons are a bit strong. However, I hit my 4 iron 180 (as I should if the chart is right), but sometimes use it to hit 190-200 (probably because I never actually swing 100% when hitting my irons because I’m afraid of blading etc) since I do not have a 3 iron. My main concern is that for some reason I only hit my driver about 200. I’m not sure why, I must never be hitting the center of my driver, because I should be 240 carry. Every shot feels good, and when I hit a really good one, it still maybe will reach 220. I’m not sure what to do, any tips? To answer your question, can you get on a Trackman or Flightscope X2 and hit a few drives? I’m curious to verify your swing speed…and also know your launch angle, spin rate, and smash factor. 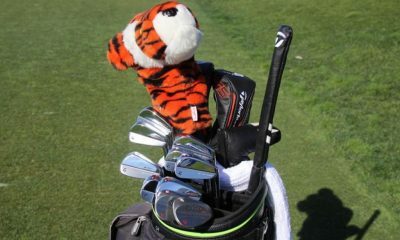 Jaacob, I enjoyed your article and received some significant insight regarding measurement of swing speed given the number of sensors on the market. One area I am particularly concerned with is those of us over 50 years of age. Many of my golfing buddies feel that loss of distance is a natural result of aging. I disagree to an extent with that attitude. We seniors can hit the ball plenty long if we work out, stretch, do some yoga etc. I think a good diet is part of it too. While it is inevitable that we lose speed with aging, we don’t have to give in completely. A little work, proper fitting and improved technique can get a lot of yards back and get longer than we ever were in our youth! Another thing we seniors benefit from in competition is we are now playing competitive rounds on courses at 6400-6600 yards. Wow, golf is fun again because I don’t need to hit driver on many of the par 4s and still have only a wedge left to the pin! The par 5’s are reachable again too! Awesome Data stuff, Mr Bowden! Would it be possible to expand this article to full size analysis of everything mentioned so far, in much much more detail with proper tables and graphs and charts, just as everybody wants, with all the big tours’ averages and modern club loft standards, etc? Then it would be the perfect bible. That’s a good idea. Let me check and see what I can do. This article is pretty interesting! I found some things that don’t match up with my swing. It could just be my weird swing. As of last year, my swing speed was around 95 but I carry my 8 iron almost 150 on a good strike. Maybe my course’s markers are just off. I don’t know. 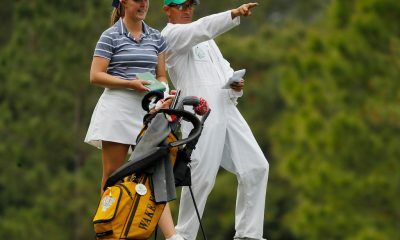 Haha maybe my swing is similar to the LPGA swings in being more efficient with my swing speed. I really liked the article though. Here are the LPGA Trackman numbers (in yards). 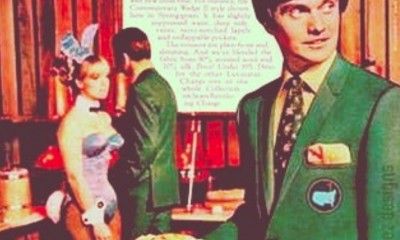 Unfortunately, I don’t have the club lofts…which would be useful. Although, like I mentioned in my comment reply to Andy and David, a rough estimate of those could be calculated similar to how I did it above. 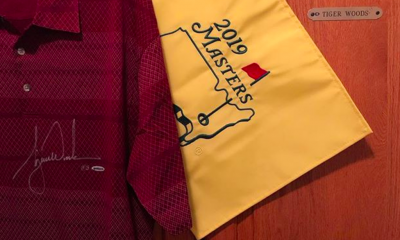 I didn’t find anything for the Champions Tour, but let’s see what we can come up with. The mean driving distance on the Champions Tour for the 2012 season was 273.4 yards. Assuming that Champions Tour players have the same driving efficiency as regular PGA Tour players at 2.58 yards per mph of swing speed, that would mean the average swing speed for a Champions Tour player is about 106 mph. My numbers are a BIT different. Any chance you’re willing to share your math so I can apply this to my average distances for certain clubs? Thanks! Great article…good to see some hard #s to compare. I personally am coming off double hip replacement surgeries in 2012 and watched a lot of LPGA golf last year during recovery/rehab…I personally found that I now relate more to the yardages the top women players have than the elite men college or pro level. Also, the women have impeccable tempo and always seem to swing “within” themselves. Important for folks to also realize the PGA Tour and Nationwide follow the sun AKA usually playing in optimal conditions with super tight fairways affording 20 plus yards of roll. Buddy of mine who is a caddy who knows web.com guys said their distances went up immediately upon playing more manicure courses in 70-80 degree weather. Yeah they still hit it great/far/better than us! I agree, it would be nice to see loft along with those figures. You guys are both right. This data is much more useful with the lofts. 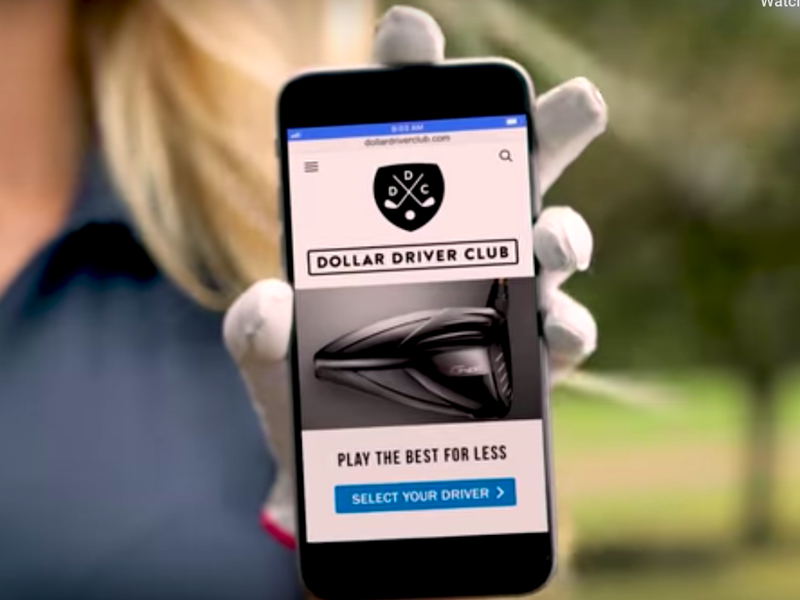 I was actually curious about this as well so I looked up what 30 PGA Tour players “say” they are playing on their websites, from “What’s in the Bag” videos and articles, etc…and then looked up the specs from the company’s websites for each of those club models. 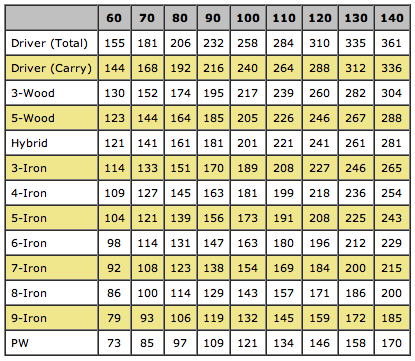 Oh, regarding the chart with the PGA Tour Trackman averages…it says 15-18* for hybrid. 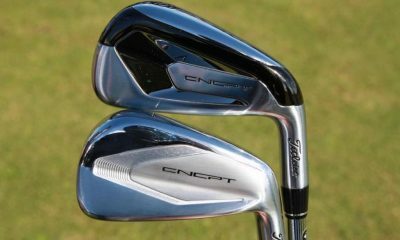 its funny how strong lofts are on modern irons. I have a set of circa 1980 titleist tour models, and the stamped loft on the pw is 49 degrees and 9 iron at 45 degrees. I bent them strong to the modern lofts much similar to the loft chart you posted. the only problem? the stronger they are bent, the more offset they are and the higher they seem to fly and the more they hook. in the dave pelz short game bible, what was a pitching wedge of 50 is now a gap wedge on almost all sets.. They are interesting numbers Jacob. I’ve no doubt the touring professionals have these tested to the very inch. At their level getting the right distances are absolutely vital and often the difference between winning and losing. I only wish we had this sort of technology available in Australia. Hitting at the golf driving range is fine but it doesn’t really give you exact carry distances as the target is too far away and no way of seeing where the golf ball actually lands. Would you know of how the average golfer can work out these numbers? Troy, I’m not sure what part of Australia you live…but the locator tool on the Trackman website shows there are some Trackmans in basically all the major cities like Perth, Adelaide, Melbourne, Sydney, Gold Coast, and Brisbane. As for the SSRs, unfortunately Sports Sensors doesn’t presently have a frequency license for the radar in Australia and thus they won’t ship there. However, sometimes you can find someone on eBay that is willing to sell and ship to Oz. You might also check your local golf shop or golf course. Often times, they will have a launch monitor of some sorts. 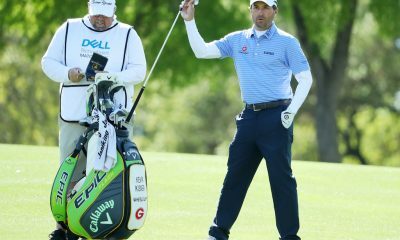 If you can find out the name of the launch monitor brand, there are usually articles out and around on Google comparing and contrasting different brands and how they measure swing speed versus. As for working out the numbers without a radar or someone to help you see where the ball lands…hmmm, there’s a number of ways to do it. Here’s a couple. If you have a range finder, laser the distance to a flag within short iron distance from the fairway. Choose a club that you think will get you close to the flag with a full swing, hit a shot (or a few if you aren’t holding anyone up), and then add or subtract how many paces the pitch marks are relative to the flag from the distance you lasered in the fairway. Without a range finder…find an open hole, drop a few balls, and step them off by foot to get a rough average distance. From there you can estimate the other clubs. possibly delofting my irons at impact? Delofting, like you mentioned, could be another possibility. More specifically, you may be decreasing your spin loft…which is the difference between your angle of attack and the dynamic loft of the club. So say your friend hits down 2 degrees on the ball and the dynamic loft is 30 degrees…then you take the club, swing at the same speed, and hit down 2 degrees but have a dynamic loft that is 26 degrees from having your hands further forward at impact…your ball would probably have less spin, a greater smash factor, and go farther. Depending on the person and other specifics of their game, this scenario could be good or bad. As for swinging too hard, that would depend on if you feel like you can control your shots. If you feel under control hitting those distances, I’d say it’s no problem. Love this kind of information. Great article. how can i get faster swing speed. I am in the 100 category give. Would you advise switching to REGULAR flex? Good article. Curiously, where my SS of 98-100 (as measured at GolfTown-who knows if accurate, though their flight numbers are close to what I see on course-don’t trust their roll #s as they have my wedges rolling 10+ lol) seems to fit your long club carry numbers pretty well, it’s not close with my scoring clubs. My irons from 8i down to my 64° get very little roll. My 58° goes at least 100, my PW 140, and 8i 160. even my 8i rarely rolls more than 10 ft from it’s landing spot. And I only hit my mid-irons/wedges with an abbreviated swing, I’m not trying to kill them. As you can see, if a green involves a hazard carry of >170, I lay up. I’m a big hitter with a fast swing speed and I also carry a 64* wedge. I used to hit about 85-90 yards max, which gave me something to brag about, but I believe hitting a 64* wedge 80 yards is not ideal. I changed my approach of wedges about two years ago and I lost 25 yards off my 64* wedge, but my accuracy and pinpoint placement has improved. Also I feel that instead of just launching the ball high and having it land with 4′ of check! I can play my 64* with a much better angle of approach. Glad to hear you’re swingin’ a 64* though, not too many people carrying them around.